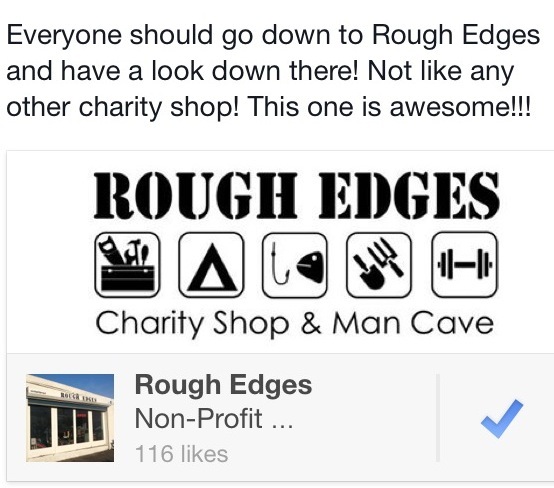 Finally a charity shop for blokes! We will be looking for stuff that you no longer use or don't know what to do with. 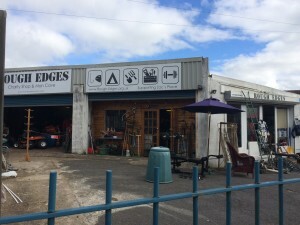 Tools, workshop items, gym equipment, fishing tackle, gardening tools, surf boards, building materials ..... See the link above for info. 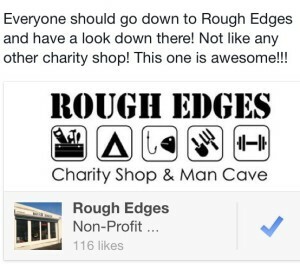 We are actively looking for staff to volunteer with Rough Edges. Please contact us by email expressing your interest and provide a contact phone number and add any information you think we might like to know. We are looking to develop partnerships with local tradesmen and businesses and we are also looking to set up partnerships with agencies to provide volunteering opportunities for clients. See the above link for more info.